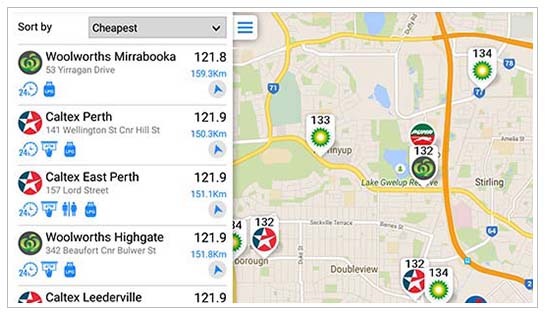 Fuel Map (Smartphone app) is a crowd-sourced database of petrol stations and fuel prices from all across Australia. 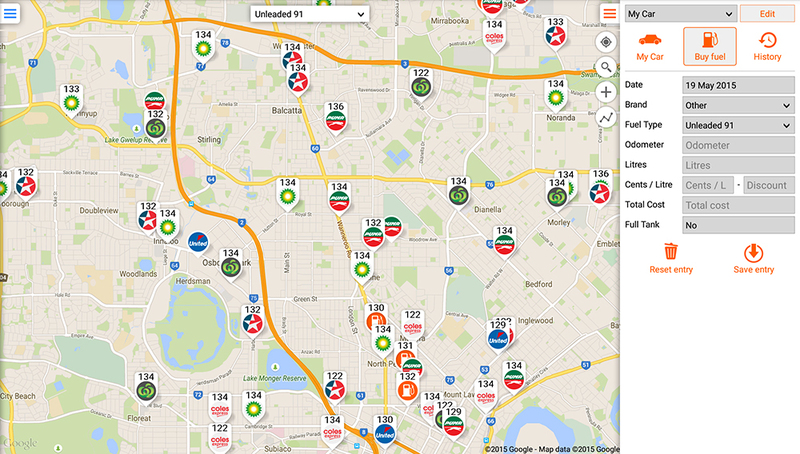 All station information is added and edit by users like yourself. 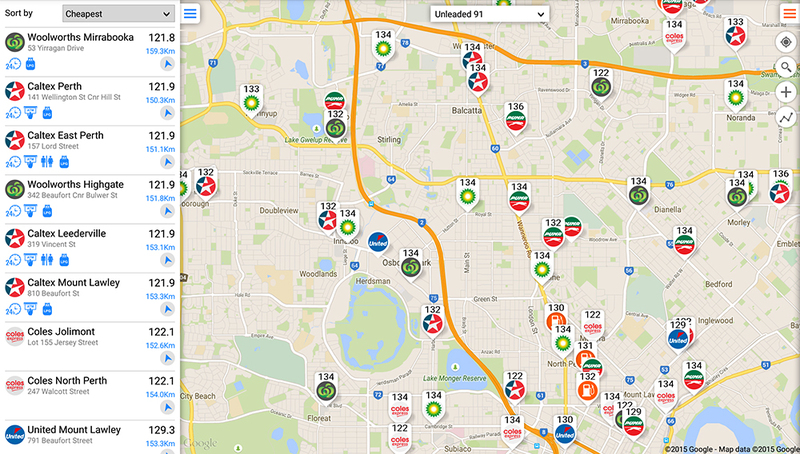 You can also add current fuel prices which are then shared with other users of Fuel Map. 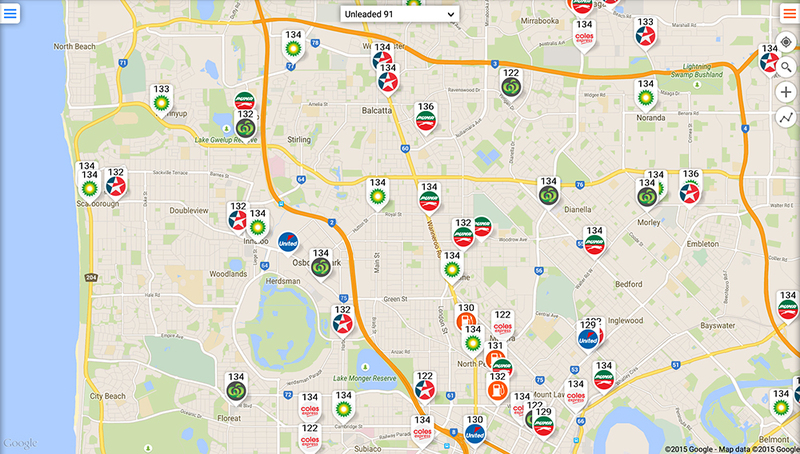 WA fuel prices are updated automatically using FuelWatch. 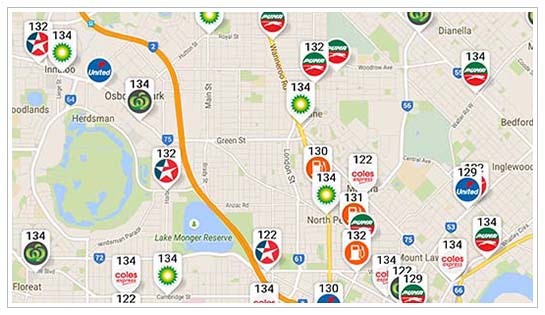 Locations of petrol stations are shown on the map as a branded pin with the last known fuel price displayed above. 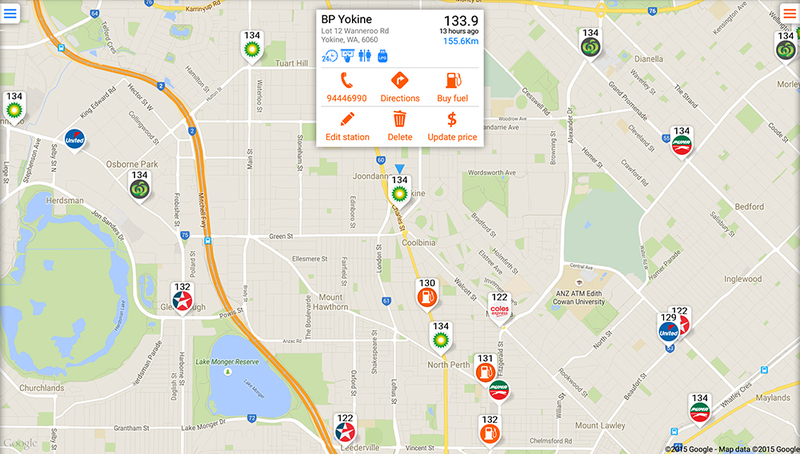 The slide-in site list makes it easy to find the cheapest petrol station near-by in seconds. 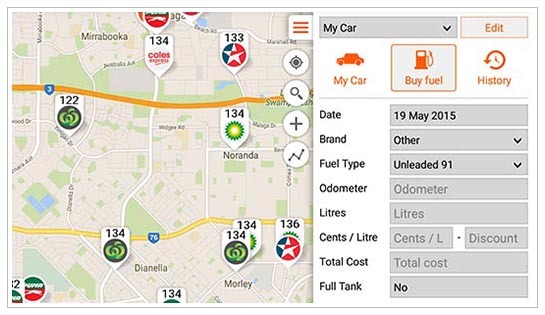 Fuel Map also comes with a handy fuel log so you can keep track of your fuel purchases, as well as your vehicle's fuel economy. For compatible Apple devices including iPhone, iPad & iPod. Minimum iOS 8.0 required. 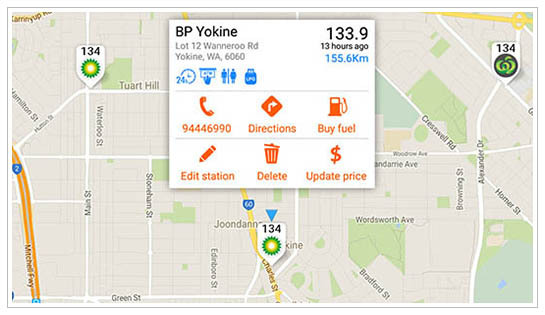 For Google Play compatible Android phones and tablets. Minimum Android 4.0 required. For all Windows 10 phones, tablets, and PC's. ©2015 WikiCamps PTY LTD. All rights reserved.